How often you find yourself stretched too thin, overworked and overwhelmed? How often do you feel busy but not productive? Too often, right? In the book Essentialism: The Disciplined Pursuit of Less, Greg McKeown‎ present us with a way to become better at doing fewer things – The way of the Essentialist. So we can become more productive and more satisfied with our lives by focusing on the essentials. Greg wants to train our minds and our bodies to stop trying to do it all, to stop saying yes to everyone and everything. This way, we’ll finally have the needed time to make our highest contribution towards the things that really matter for us. And by train, I mean instilling a sense of military discipline. Because that’s the only way we can distinguish the essentials from the noise in the long run. Nowadays, almost everything is noise. New fashion. New gadgets. New social media channels. New games. New shows. New media. New types of entertainment. New bizarre rap songs that sound like a not properly tuned radio station. The funny thing is, that people buy into the idea that they must have it all, do it all. Own everything that’s advertised to them. Document every bit of their lives and share it on all possible networks with the appropriate hashtags. Otherwise, you won’t be considered cool, nor trendy. And worse of all, you will be incomplete. Imperfect till you have a dozen of sneakers with matching handbags and everything is properly categorized in your social media channel. But the way of the Essentialist is different. It’s clutter-free. Without all that noise. It contains only the essentials. If you accept the idea that almost everything is a noise, you’ll be more strict in what you let inside both your life and your mind. Start filtering through the noise until you get to the essence of things. For better or worse, there are far more activities and opportunities in the world than we have time and resources to invest in. Even though a lot of them sound really interesting and worth exploring, the only way to be truly happy and satisfied with your life is when you learn to filter through all the options and select only the ones that are truly essential for you. To focus your time and your energy towards a couple of carefully selected activities. If you don’t prioritize your life, someone else will. If you don’t take control over your life, someone else will. If you don’t decide what’s your main goal in life, someone else will surely take away this right from you. If you’re not able to say no to the trivial many things that are constantly trying to steal bits of your time, you won’t have any left to focus on the things that matter to you. And the essential for most of us are usually these 3: family, hobbies, personal well-being. Quite often our job steals time from our marriage and our family. But it’s not our bosses fault if this happens. It’s ours. It’s our responsibility to protect our time and to learn to leave the office on time. If you don’t protect your time and your interests, people all around will take advantage of your kindness. No one cares about your interests and your desires. If you can’t say no to a friend who constantly asks you to help him cut his own grass it’s your problem, not his. Saying no is difficult. It can be considered rude and immoral, even. Especially if you’re rejecting a close friend or your boss. But saying no is the golden key that will unlock more hours in your day. Hours you can use to hone your craft or play video games. It doesn’t matter how you’ll spend it, as long as you spend your time doing what you love. The awkward pause: Own the awkward silence. When someone asks for something. Just pause for a moment. Count to three before saying a word. Quite often the other person will fill the void and you can use the new information to reject politely. Let me check my calendar and get back to you: This is a great way to take the pressure off from saying no directly. Once you “check,” you can easily decline the offer. Use email bouncebacks: If you’re bombarded by emails from friends or colleagues while you’re doing an important job you can activate an automatic response to say why you’re not going to respond shortly. Additionally, you might want to disable social media from your phone. This will ensure that you won’t waste your time chatting when there are other more important things on your schedule. Say, “Yes. What should I deprioritize?”: Saying no to your boss is hardly acceptable. However, if you need to adopt a new project you should always ask your boss what you can postpone. This way you’ll have enough time to do your job properly. Say, “I can’t do it but X might be interested”: We’re not so special. There are surely other people who can do the job you’re asked to do. So, if you’re not interested in helping someone, refer them to someone else instead. When faced with the choice between two things we want, we prefer saying yes to both. Obviously, doing two things is better than doing one. Especially in the world where the hustle state has become the new normal. You no longer walk, or run, or do things. You hustle, bro. But as much as we would like to do everything, we simply cannot have it all and do it all. Think of it like deciding what TV to buy. You surely don’t need – and a lot of times can’t really afford – two 60 inch plasma on your wall – except if you’re a football maniac and you gamble on different sports. That’s why you choose only one, the one you like better. Do the same with the tasks that are knocking on your door. Choose to do only the ones that are bringing you closer to where you want to be in life. Usually, people ask themselves, “How can I do both?” These are the Nonessentialists. They think that everything is possible. They spend hundreds of dollars on productivity planners, smart watches, bracelets, innovative (and expensive) ways to write stuff on 15 different devices, attend meetings, sign-up on spammy-looking sites to get time-hack techniques that will suposedly triple their efforts. Contrary to what they expected, all the tools they’ve gathered end up only wasting their time. There isn’t a tool that will magically give you more time. The only way to summon more hours in a day is by making deliberate trade-offs. An Essentialist ask himself, “Which problem do I want in my life?” when he needs to make a choice. It’s often painful and uncomfortable for a person to decline offers and opportunities but that’s the only way we can increase our chances of achieving the outcome we really want. In short, Essentialism is a way of living. Is continuously choosing to do fewer things, better, over trying to do it all and saying yes to everything. Regardless of your job, area of expertise, industry you operate in, you can choose the simpler way. The way to focus your time and energy on just a few, carefully selected things. No matter what the only gurus are feeding your mind with. What companies are trying to sell you. You can’t do it or have it all. There is no such thing as unlimited happiness or ultimate satisfaction. There will always be something you don’t have or a place you haven’t visited. And if your primary goal in your life is to get everything, you’ll have nothing. At some point in your life, if you really want to feel content with yourself, you need to make a choice. To decide how to spend your hours. And with each choice to pursue the fewer but better things, we eliminate the distractions and train our body and mind to want less. Ultimately, living Essentially isn’t just about success and more dollars in your bank account. It’s about living a life of meaning and purpose. Explore the options: Before you “go big” on one or two ideas or activities, explore all available options. Sample different things before you commit wholeheartedly. Essentialism is all about doing fewer things better, but if you haven’t tested different options, you’ll never know what’s the better thing to pursue. So, go out there and try. Design a system: Distractions are everywhere. They’re like the air we breathe. They get in our system and they can choke us with unuseful tasks. 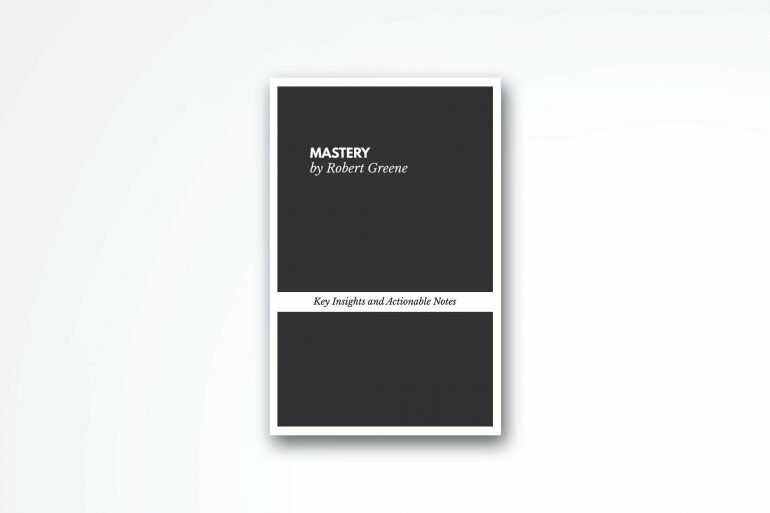 In order to eliminate the nonessentials, you need to design a system that will make the executions of your tasks almost effortless. Design your life and your workspace to be frictionless. To be easy for you to do your job and hard to not do it. Monk mode: Go one step further and go Monk Mode. Imagine this like putting your phone on Airplane mode. Airplane mode disables Bluetooth, Wi-Fi, cellular networks, and near-field communication. Monk Mode refers to a state of complete concentration. No distractions, no interruptions, no phone calls, no “quick social media checks.” It’s only you and your work. If you too, often get distracted while you do your job, your time is regularly hijacked by other people’s agendas, you don’t have enough time to see your grandparents, and you never ever have time to read a book, you desperately need to apply at least some of the techniques mentioned in Essentialism: The Disciplined Pursuit of Less by Greg McKeown. In an age where things like: get 5 pay 2 are heavily advertised, we need more books explaining why more is not always better. The whole idea in the book by Greg McKeown revolves around deciding what your agenda or goal is, and later pursue only opportunities that lead you to that goal. In addition to the latter, to also discard everything else from your life. So, if I can compress, even more, the wisdom of the book in just one actionable sentence, it will state the following: Decide what are the most important things in your life today, devote yourself to these things, and become unavailable for everything else. Even though it doesn’t seem so hard to commit to just a few important things try explaining this to a person addicted to online (social media) fame and Black Friday sales. Hopefully, the notes above can at least help you understand that there is a major flaw in the way we currently operate and motivate you to start slowly deducting things that are not essential to your life. 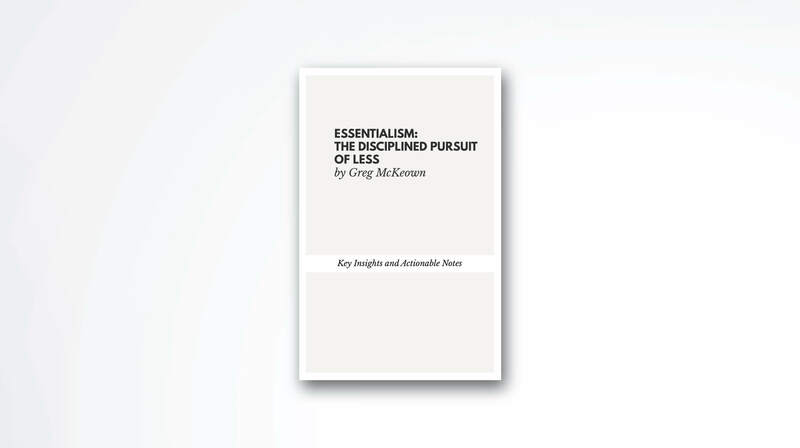 I’ve read something today: Book summary of Essentialism: The Disciplined Pursuit of Less by Greg McKeown‎. What did you do online?